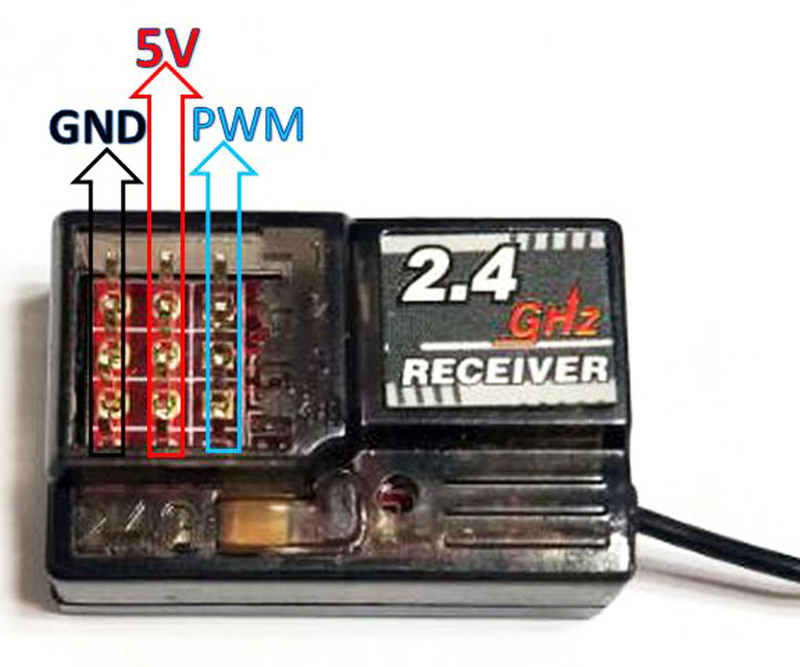 Wireless radio control receiver, 4 channels, for PN00119. Important note on pairing. Place binding on channel 4 before turning on the receiver. Turn on the receiver. Press and hold the pairing button of your transmitter first then turn on the its power switch. Stay pressing on the pairing button until receiver's LED stops flashing. When LED turns solid on (no flashing), the pairing is complete. Remove the binding from the receiver.